These leisure forms are created with Comfort+ featuring SmartSilver anti-microbial technology. A layer of Comfort+ fabric has been integrated behind the back fabric. This Comfort+ material is densely saturated with microcapsules that absorb excess body heat during a rise in temperature, helping to prevent prespiration. The extra benefit of SmartSilver technology - a treatment to the back of the fabric - provides an antimicrobial effect for a more hygienic climate during healing and recovery. A Comfort+ fabric layer continuously works to maintain a dry environment by absorbing excess body heat during a rise in temperature, helping to prevent prespiration behind the form. SmartSilver technology is integrated into the back of the fabric, providing a natural antimicrobial benefit of inhibiting bacterial growth which results in a more hygienic climate during healing and recovery. The treatment does not wash out or wear off and keeps working through the life of the form. This lightweight, fabric covered foam form is ultra-comfortable. 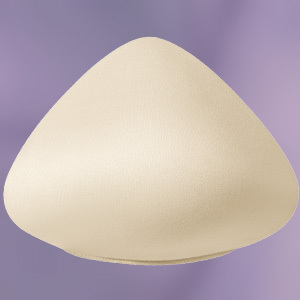 It's versatile symetrical shape in convenient sizing is sure to allow for all of your needs.